The Senate Judiciary Committee has held three hearings so far on the Gang of 8’s proposed immigration reform bill. So far, there has been only one undocumented immigrant who has been invited to testify. On Monday, Gaby Pacheco told her story of immigrating to the United States from Ecuador at the age of eight. In her testimony, she talked about her mixed status family and their struggles under our current immigration system. 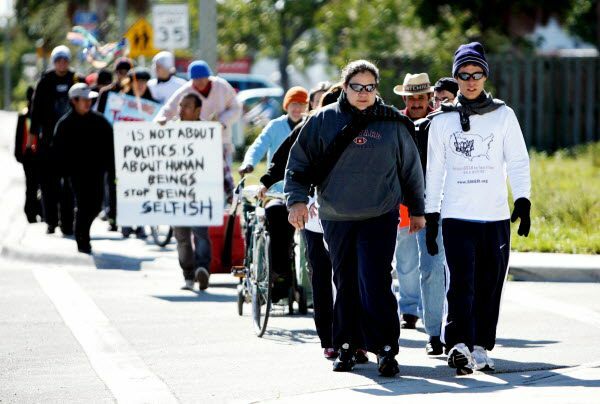 She also spoke about her work as an immigrant rights activist, including her participation in the Trail of Dreams, a 1,500 mile walk from Miami to Washington, D.C. that she and three other activists embarked on in 2010 to shed light on the plight of undocumented immigrants everywhere. Instead of using tactics to delay and derail this important piece of legislation, lawmakers in Washington should hear more stories from people like Pacheco. Each day that this bill has not become a law, 1,100 people are deported, and 1,100 families are destroyed in the process. The media should focus on testimony like Gaby’s because she illustrated the problems of our current broken immigration system. Instead, they focus on comments from lawmakers who try to derail the conversation. Fortunately, the voices of the naysayers have been somewhat quieted by members of their own party. Even Republican Rep. Paul Ryan has said immigration reform is needed now.